Just ahead of the 2014 European Baseball Championship in Czech Republic, the French Baseball and Softball Federation (FEBS, Didier Seminet - President) organized first ever France International Baseball Tournament at the Templiers Senart facility just south of Paris for 6 days from September 4, 2014. The stadium was opened in May, 2012 and fulfills all international standards, features a state of the art clubhouse with a bar, a synthetic playing surface, a modern lightening system, bullpens and covered batting cages. The international series was unprecedented in the country, and for many people signaled a fresh start not only for French baseball, but also stakeholders and the global fan base, for the bat-and-ball sports to be considered for possible Olympic Games inclusion by the IOC at a special Session in Monaco that will discuss new options for the Olympic Games sport selection process in December. Japan Amateur Baseball Association (JABA), affiliated with Baseball Federation of Japan which joins World Baseball Softball Confederation to bring baseball and softball back to 2020 Tokyo Olympic, supported the event by sending the winner of the 2014 85th Inteter-City Baseball Championship, Seino Transportation, to play with the 3 national teams of France, Belgium and Netherlands in the event entitled “Yoshida Challenge” in honor of Yoshio Yoshida who is an Honorary Member of FEBS and serves as International Baseball Ambassador of Olympic Reinstatement. 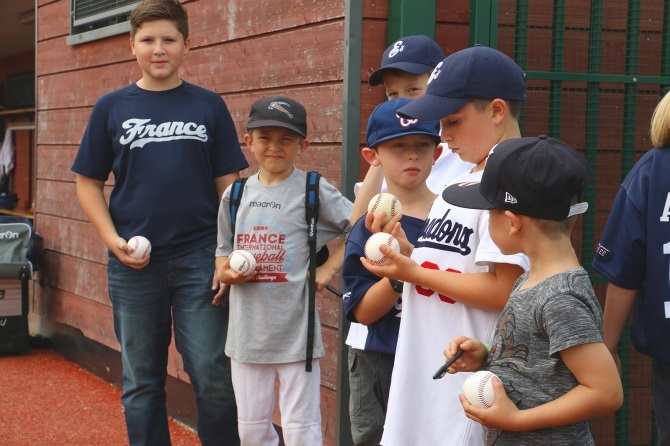 According to a report entitled “Is French baseball finally coming of age?”, in September 9, 2014 issue of France 24, the “old ball game” is not new to France, contrary to what many may think. The country’s first baseball federation was founded in 1924 and today’s top-tier league has existed for around 50 years. But in the past five decades the sport has failed to win the kind of following European football, rugby or even basketball – like baseball, foreign imports – enjoy. However, the game has seen a slight rise in popularity in recent years. FFBS knew it must create more excitement, both home and abroad, to keep up the momentum and were delighted with the success of the “Yoshida Challenge”. 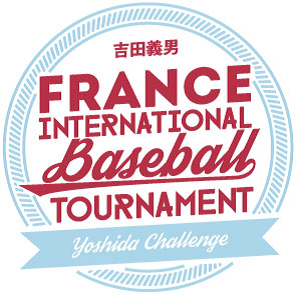 Based on France’s strategy to shine at the global level to build on Yoshida’s initial efforts, FEBS invited Éric Gagné, a former Los Angeles Dodger who won the coveted Cy Young Trophy in 2003 as a reliever, and a World Series champion with the Boston Red Sox in 2007. Gagné, who retired as a player in 2009, is a Quebecois by birth and now lives in Arizona with his family. The former MLB All-Star has accepted the challenge of raising France to be among the best baseball teams in Europe. More specifically, he has been entrusted to guide France to a spot in the next World Baseball Classic in 2017. Yoshida was pleasantly surprised to watch the Japanese Champion, Seino Transportation, lost to France twice 8-9 and 5-10 during the event and France defeated Netherlands 12-8 but narrowly lost 2-3 at the final round ending up in Silver Medal following Netherlands’ Gold. The wave of growth in Europe recently saw the Confederation of European Baseball celebrate the opening of its new headquarters in Zagreb, Croatia and launching of a new website. In Russia, Sports schools start training new baseball players as early as 6 or 7, and the Russian Baseball Federation provides a stipend for the most promising players until they turn 18. Yoshida fondly recalls various episodes during the “pioneering phase” of French baseball in early 1990’s, for example, to persuade players to hit a sacrifice bunt for the team instead of hitting hard for personal gains and testifies that the overall playing and defensive skills have come a long way thanks to increased exposure to the games. Support and hope continue to build amongst baseball and softball's more than 65 million international athletes at all levels of competition. Yoshida emphasized that there is no boarder for baseball and softball. “We need to strive jointly to bring both sports back to the Olympics to the best of our ability,” says the former manager of Team France.